BPM has partnered with Bigtincan, the mobile, AI-powered Sales Enablement Automation Platform leader, to deliver digital sales enablement solutions to customers. We’ve built a version of our Digital Playbook app to run on the Bigtincan Platform and pull content from the Bigtincan API. The integration enables customers to deploy, manage and permission Digital Playbooks on Windows, Mac, iOS and Android devices and access data from CRM systems, using the Bigtincan Platform. BPM has a go-to-market partnership with Strategy to Revenue (STR). 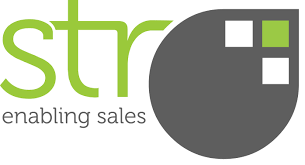 STR provides cutting edge solutions designed to help sales organizations execute on their growth strategies and optimize yield per rep. The two companies have worked jointly together on marketing and sales acceleration projects for a number of major corporations since 2010.